Bitmain is the manufacturer of the AntMiner line of Bitcoin miners, runs the Bitcoin mining pool AntPool, and runs the cloud mining service Hashnest. AntMiner is the most well known brand of Bitcoin miners. It is also well regarded, since it has been one of the few Bitcoin miners that has shipped on time. There have been seven different versions of AntMiner: S1, S2, S3, S4, S5, S5+, and S7. The S7 is one of the most efficient Bitcoin miners on the market today. Bitmain operates Antpool, which since the beginning of 2016 has more hash power than any other mining pool. Hashnest is a unique cloud mining service: it hosts the mining hardware owned by its customers. This setup eliminates the need for customers to host mining hardware at their own homes or warehouses. Hashnest makes it possible to mine bitcoins without worrying about noise, electricity costs, or excess heat. 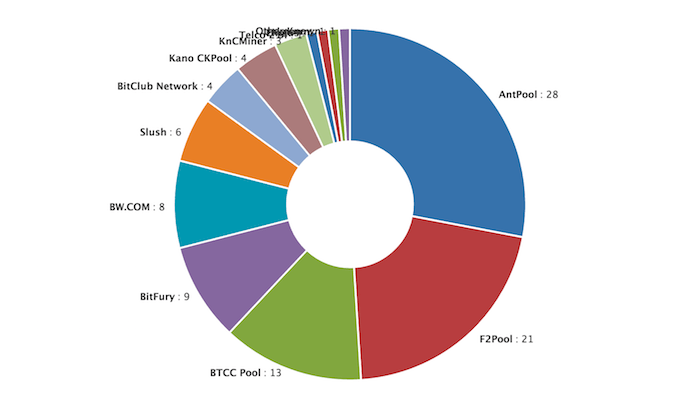 The hash power generated by Hashnest is pointed towards Antpool. Bitmain has also invested in a number of Bitcoin companies, as listed below. Description: BitKan provides the latest price for bitcoins and the mining difficulty charts and data. The bitkan app will keep you updated anytime anywhere. Description: RSK is the first open-source smart contract platform with a 2-way peg to Bitcoin that also rewards the Bitcoin miners via merge-mining, allowing them to actively participate in the Smart Contract revolution. Description: Simplex provides Bitcoin exchanges, broker websites and wallet applications with a fully protected fraud-free platform for selling Bitcoins via credit card.